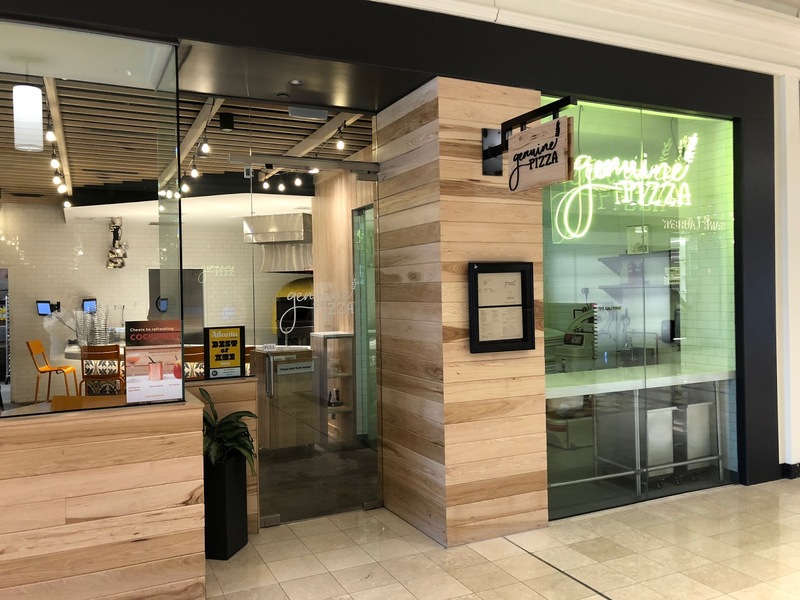 Genuine Pizza, the Neapolitan style pizza restaurant from chef Michael Schwartz, has closed at Phipps Plaza after just over a year in business. The restaurant reportedly closed Sunday, January 13 after opening January 5, 2018. ToNeTo Atlanta visited the restaurant midday Monday and found no signage indicating the closure, but at least two employees were inside the locked restaurant packing up equipment. The Phipps Plaza outpost has already been removed from the Genuine website. Sources close to the mall and those in the Buckhead restaurant community indicate that Genuine has struggled almost since day one. The restaurant's general manager was released a few months back, and the restaurant had been operating with a skeleton staff according to sources familiar with the operation. 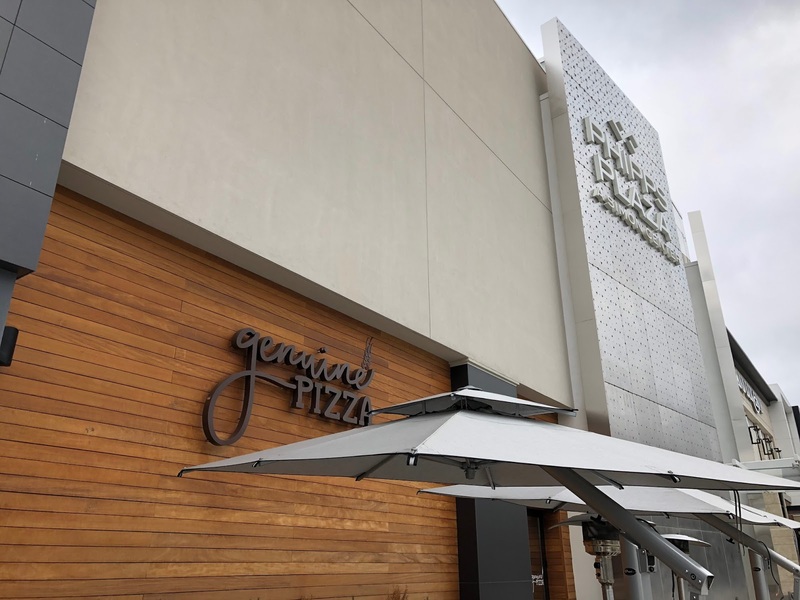 Genuine is the second upscale pizzeria to fold at a popular Atlanta mall after only a short time in business. 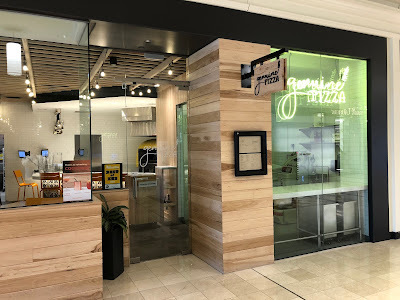 Varasano's Pizzeria, from popular local pizza maker Jeff Varasano, closed at Perimeter Mall in Dunwoody in June 2016, less than eight months after opening. 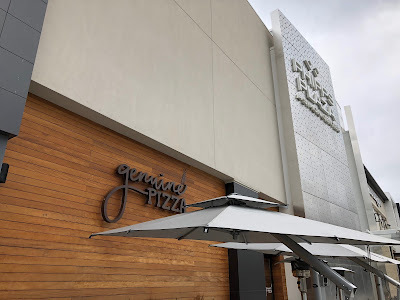 The Buckhead Genuine Pizza was their first foray outside of the restaurant's home state of Florida, where chef Schwartz, who was named best chef in the South by the James Beard Foundation in 2010, opened the first Harry's in 2011 in Miami's Design District. The Buckhead location was the second outpost to sport the Genuine Pizza banner, essentially an update to the Harry's concept, and one meant to prepare the brand for growth beyond the Sunshine State. Three Harry's Pizzeria and one Genuine Pizza restaurant remain open in South Florida with two more under the updated Genuine branding expected to debut at Meridian Center and Metropica in the Miami area later this year. 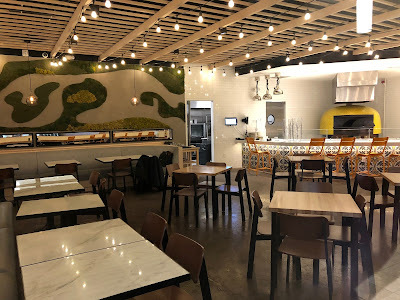 A previously announced location of Genuine Pizza planned for The Van Aken District in Cleveland, Ohio's Shaker Heights neighborhood was announced this past November to be opening instead as Michael's Genuine Food & Drink. 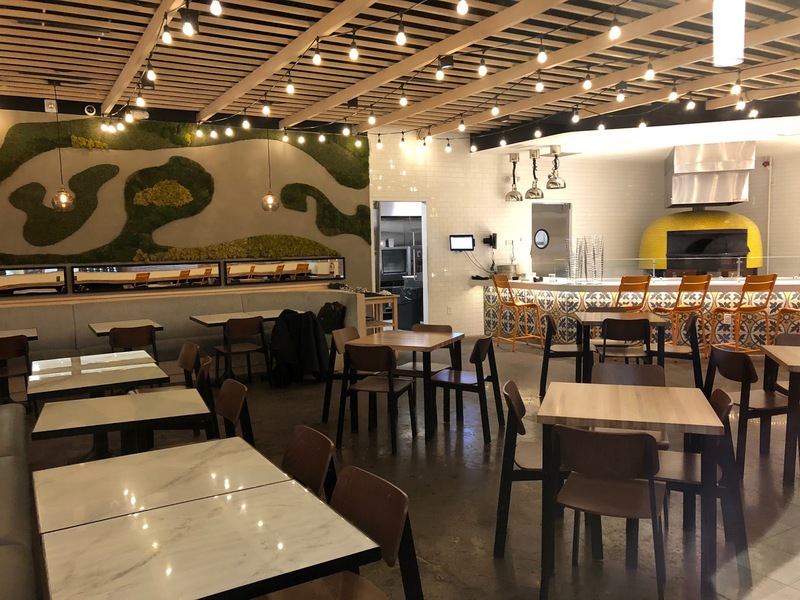 The approximately 2,500 square foot restaurant at Phipps Plaza opened in a space that has played host to a number of restaurants over the years, most recently, Yebo, a South African bar and eatery from restaurateur Justin Anthony. Both Genuine and the restaurant formerly known as Public Kitchen & Bar (now Agency Socialthèque) have each seemingly been haunted by ghosts of restaurants past. In the case of Genuine, Yebo, and in the case of Public, Twist. Both of the earlier establishments were geared towards more more of a late night lounge crowd with small plates and menus that relied heavily on the sale of alcohol.  Agency, which debuted January 4, is meant to better capture those seeking an after dinner drink or a light bite. According to Managing Director Jamie Durrence, the move is already paying off with an increase in covers and positive guest feedback. Grand Lux Cafe, which debuted this past August, and Ecco, from Atlanta's Fifth Group, which debuted this past November, have both found success in their spaces at Phipps Plaza. Grand Lux, which occupies space most recently home to Frontgate, is located on the second floor but has proved popular with locals and tourists alike, due in large part, no doubt, to its connection to parent company The Cheesecake Factory. Ecco, which opened in a newly constructed building near the corner of Wieuca and Peachtree Roads, has also found a near immediate audience in Buckhead for its trendy European eatery. 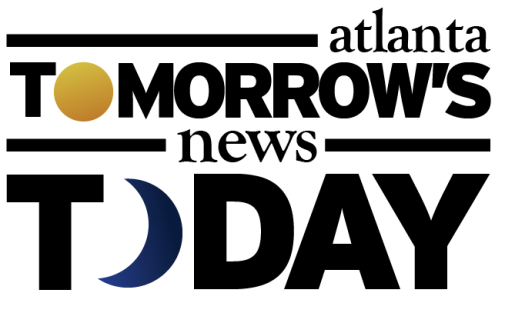 ToNeTo Atlanta inquired with representatives from both Phipps Plaza and Genuine Hospitality Group but as of 3:00 PM Monday had not received comment from either. It's likely that Phipps Plaza owner Simon Property Group has already had discussions about replacing the pizza shop, and that in light of current developments at the center (Nobu Hotel & restaurant, Life Time Athletic etc. ), finding a quality replacement is surely a top priority. Are you surprised that Genuine Pizza closed at Phipps Plaza? What is your favorite place for Neapolitan pizza in metro Atlanta? What would you like to see open in place of Genuine Pizza at Phipps Plaza? Isn't pizza kind of what you go for when you want the opposite of upscale? Just some reasonable and tasty comfort food. Hate to say it but it's time to close down Phipps Plaza. As much as I love the luxury stores there, the mall is completely dead on weekdays - along with the random lower quality stores within this mall. Closures that occurred all within the past few years: Giorgio Armani, Hublot, Agent Provocateur. Perhaps the luxury market isn't for Atlanta? It's obvious why Gucci and Louis Vuitton does so well but all other businesses are failing within this area. Anonymous. let me help you out. American pizza has become corporate chain restaurant crap. Overly processed foods that are not high quality. Think of it as comparing Krystal burgers to say, Grindhouse etc. A really good Neapolitan pizza is very upscale to say a CiCi or Pizza Hut pizza. @Anon @ 1/16 12:03PM - Why bother writing an uninformed comment like that. Are there plenty of malls with issues? Yes. Phipps is not one of them. It's one of Simon's crown jewels (along with Lenox). Yes, there's turnover, which is expected in this day and age. But guess what - most malls are slow on weekdays. People are working so they can go to Phipps on weekends. Tt's so ridiculous to say to close down Phipps... FYI - I don't go to Phipps, yet even I know how uninformed you are. What about upscale Ramen? Are we there yet, where high prices are charged for noodles and water that poor college students have been living on for decades? Pizza is pizza. Absolutely, there are varying qualities of ingredients. But come on, its dough, tomato sauce and cheese. How "upscale" can you really get? As for the upscale burger chains, there's a reason those are running their course as well. People don't want to spend $20 for a hamburger and fries. It's a burger. January 17, 2019 at 8:32 AM bloviated ..." FYI - I don't go to Phipps, yet even I know how uninformed you are." Bless your heart, be thankful your moronic commentary is anonymous!